I know many of us Kindergarten teachers do some kind of unit on our community in the Spring. I like to incorporate a Kindergarten Career Day during this time. At our school, we talk about what a community is, how to help our community, and jobs in our community. Of course students always want to talk about what they want to be when they grow up. 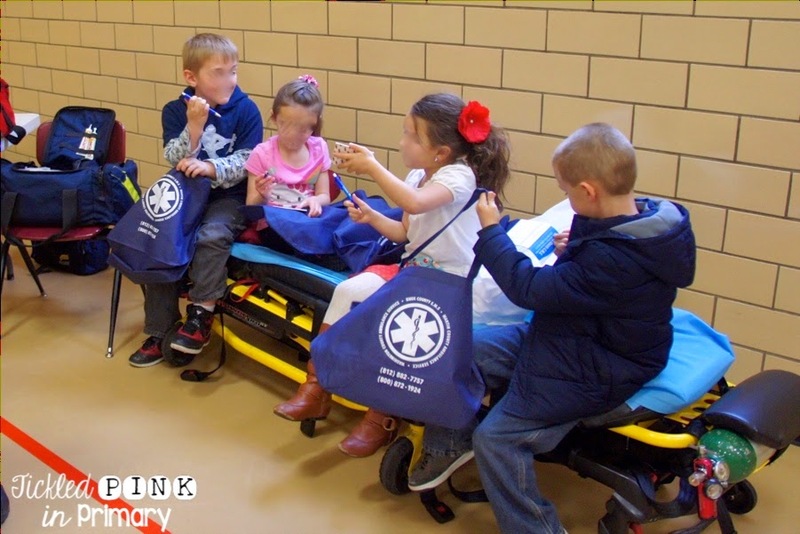 Even though the kids are only 5 and 6, we thought it would be a lot of fun to host a Career Day to meet people with all different kinds of jobs and see what exactly they do! 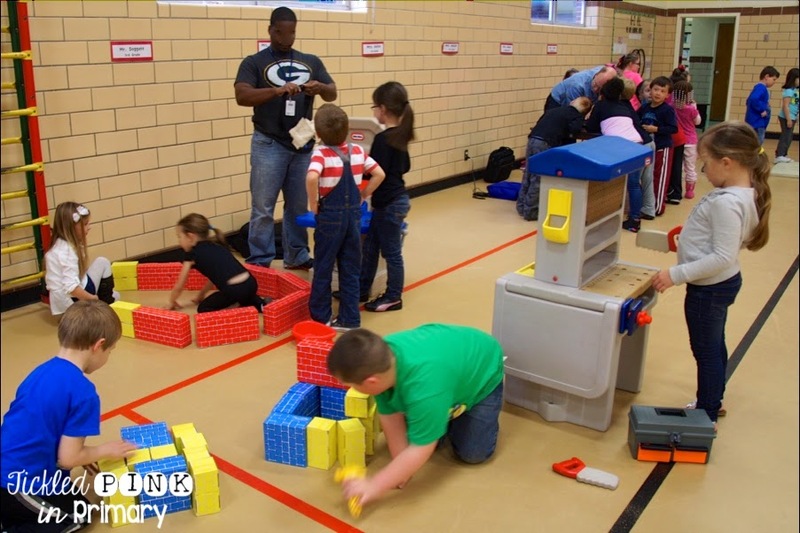 We set up about 10-12 stations around the gym and divide the whole Kindergarten into groups. We let each volunteer just do their own thing with the kids at their station. We had such a variety of jobs for the students to experience. Look at all the fun we had!!!! 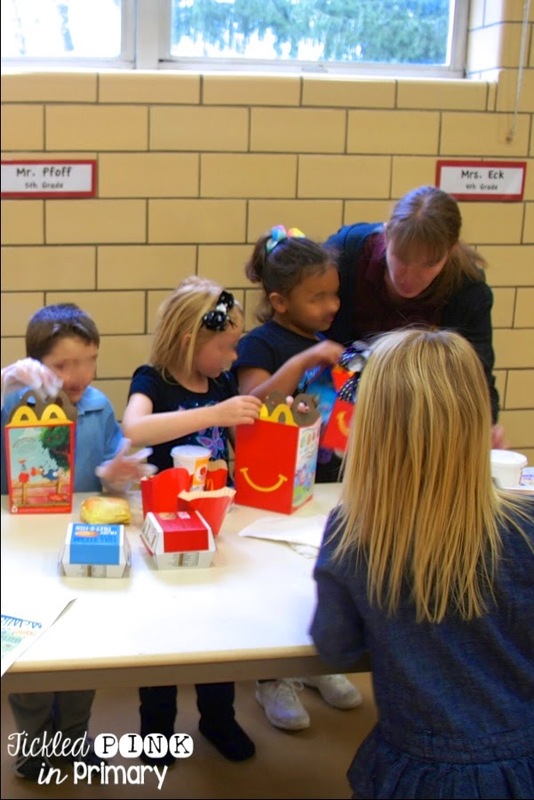 This mom is a regional manager at McDonalds so she taught the kids how to pack happy meals! She also talked to them about making healthy choices for their kids meals and gave them all a certificate for a FREE happy meal! 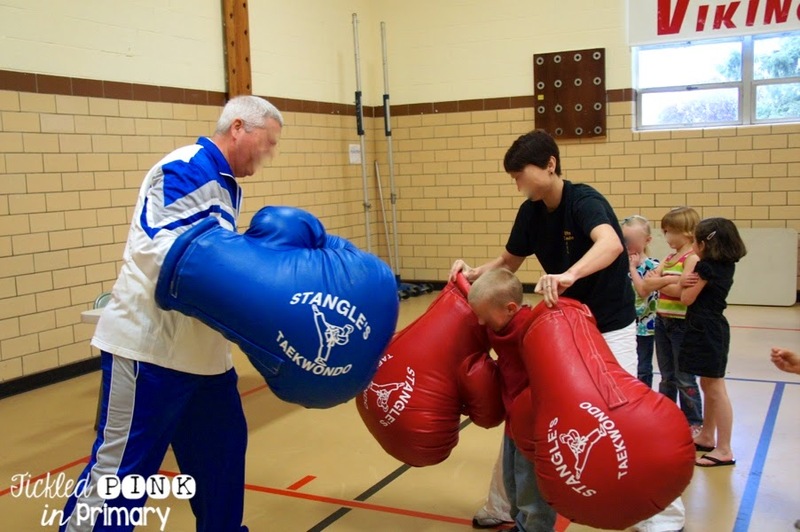 This family owns a local Tae Kwon Do so they brought in these GIANT gloves for the kids to fight with. They are so big, many students had to have the volunteer help them hold the gloves up. LOL! They also taught them some cool moves and exercises. We had the local beauty college bring about 5 girls. 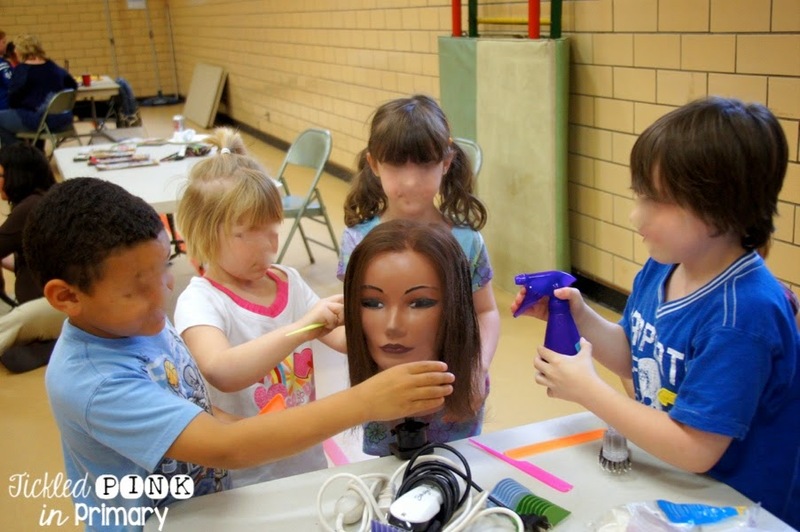 They painted nails, did crazy hairdos, and let the kids practice on wigs. This was by far one of their favorite stations!! Even the boys had fun at this station! 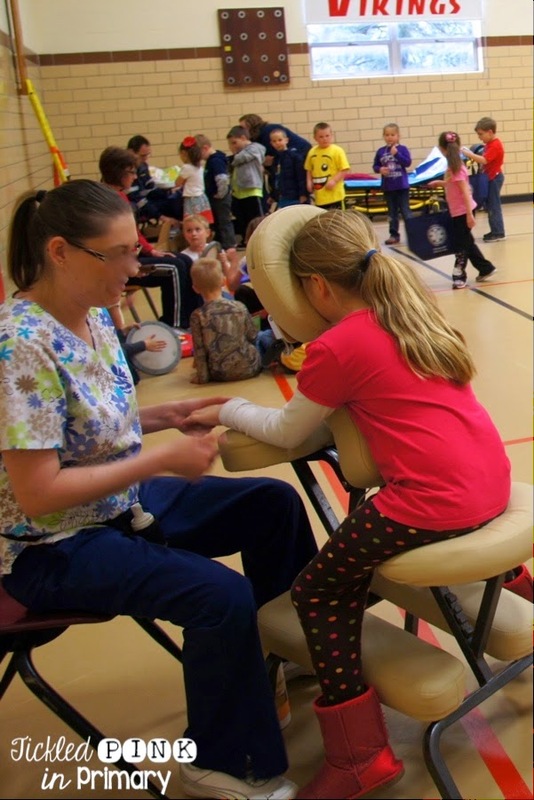 This mom is actually my masseuse & a parent volunteer in my room! 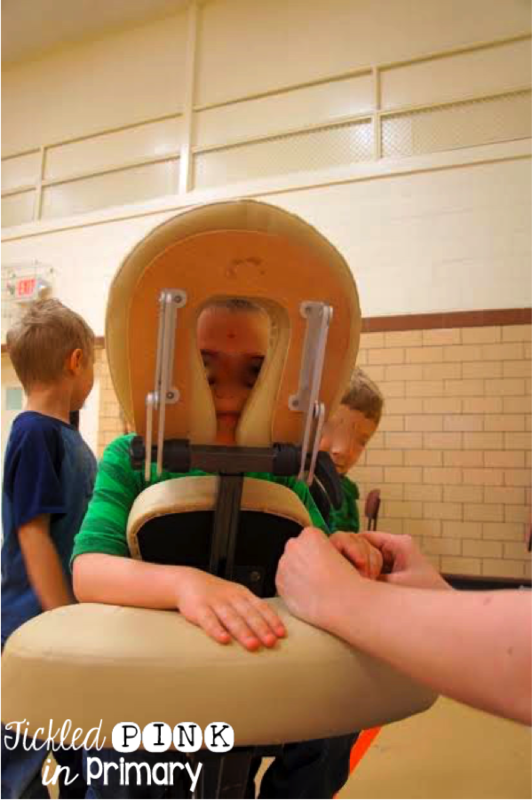 She brought in her massage chair and would give them a quick back rub or hand rub. I could’ve stayed there all day!! This is one of our teacher’s husbands and his family owns the local radio station. 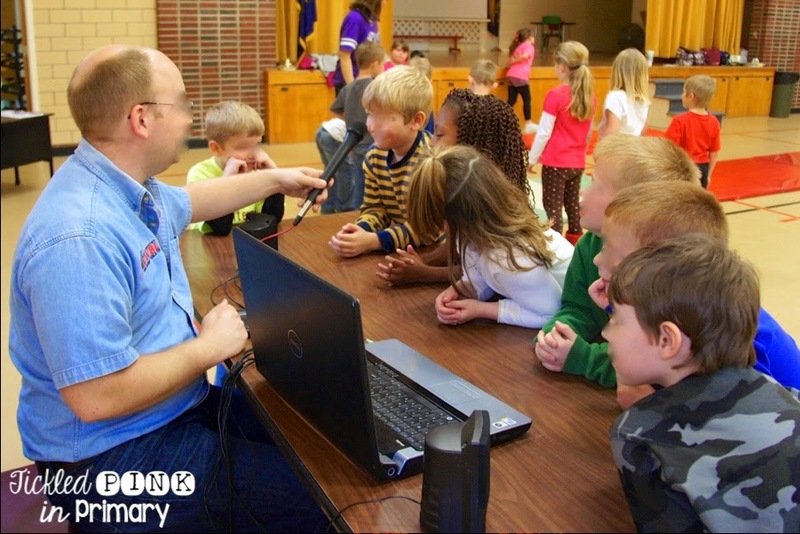 He let students talk in the microphone and he would change how their voice sounded. He also played some music for us. 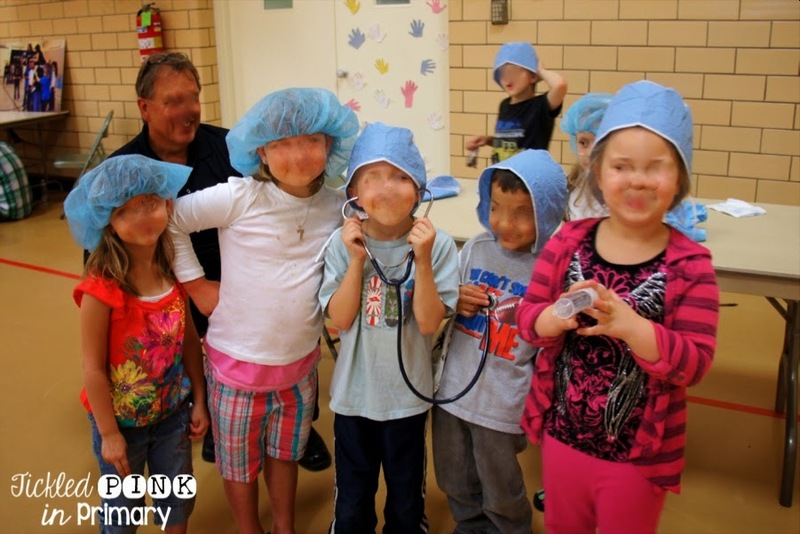 My dad is a doctor and always volunteers for Kindergarten Career Day. He brings in stethoscopes, hair nets, syringes, and blood pressure pumps for the kids to play with. They love giving pretend shots! One of our parents is in EMT and they brought EVERY kid a goodie bag of safety tips, pens and notepads! We grabbed some blocks from our room and let the students pretend to be construction workers. This is one of our student’s older sister who was able to get out of high school because she could count our Kindergarten Career Day toward one of her classes as volunteer hours. She taught the students how to dance. Another favorite station was with the police officer. 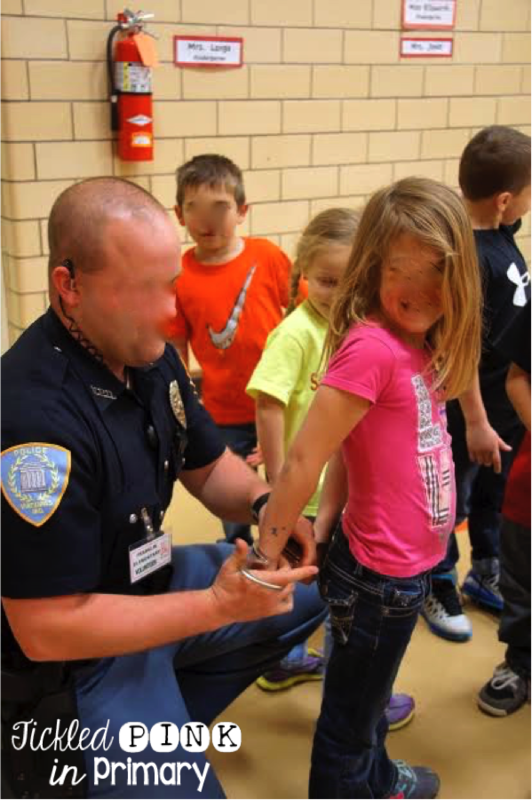 Students got to try out his walkie talkie, see his badge, and get handcuffed if they so chose. This day was filled with fun and learning! I know they’ll be talking about Kindergarten Career Day for awhile. After our Career Day, I had my class do a writing prompt about what they want to be when they grow up. You can get this writing prompt for FREE by clicking here!!! I have 2 versions of lined paper depending on your grade level. Wow! This looks like such a fun day for your students!! I am sure that they loved this and how memorable for them! It is great to see how many different types of careers you were able to get. That writing from your kiddo is priceless! Thanks so much for sharing about this idea! PS – I hope you were at least able to get a manicure and massage!!! haha!!!! You're welcome, hope you can use it!